Researchers at the USC Norris Comprehensive Cancer Center have traced the origins of colorectal cancer cells, finding important clues to why tumor cells become “good” or “bad,” with the potential of stopping them before they start. The scientists employed a Big Bang model of human colorectal cancer growth similar to the theory that the universe started from a single point and exploded outward. The team was led by Keck faculty researchers Darryl Shibata, professor of pathology at the Keck School of Medicine of USC, and Christina Curtis, assistant professor of medicine and genetics at Stanford University and adjunct assistant professor in the Department of Preventive Medicine at the Keck School. 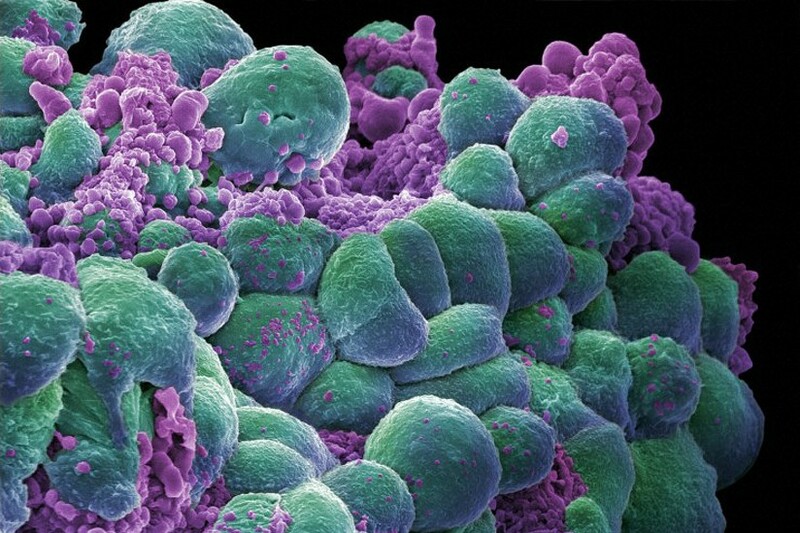 To prevent tumors, you want to see what happened early on and how to stop their first cell divisions. By taking samples from opposite sides of colorectal tumors, the researchers reconstructed the first few divisions, which took place when the nascent tumors were too small to even detect. The tumor starts were abnormal, with a burst of new mutations. Moreover, even from the start, many cancer cells expressed the abnormal mobility or intermixing of cells that would allow them to eventually invade and metastasize in the body. By contrast, tumor cells destined to form benign adenomas did not intermix, indicating that some tumors are “born to be bad.” Understanding which tumors will kill and which ones are harmless is critical to patients making decisions about tumor removal and surgery, Shibata said. The next step is to further explore what happens at the genesis of tumor cells, which Shibata and Curtis are currently studying. Curtis will also look into whether other cancers behave the same way as the colorectal cancers. The research was published Feb. 9 in the peer-reviewed journal Nature Genetics. Other USC researchers on the study include Andrea Sottoriva (now at the Institute of Cancer Research), Zhicheng Ma (now at Stanford), Matthew Salomon, Junsong Zhao, Paul Marjoram, Kimberly Siegmund and Michael Press. Researchers from the CHA Bundang Medical Center, University of California, San Francisco, and Queen Mary University of London also contributed to the research. Funding for the research came from the National Cancer Institute (award numbers P30CA014089, R21CA149990 and R21CA151139) and the V Foundation for Cancer Research.